Ready to purchase a medical alert system? You’re not as ready as you think if you don’t understand the differences between all of the systems available on the market today! A medical alert system can allow you or someone you love to live independently for many years to come, but only if you choose the system that’s right for you and your family. We’ve broken down some of the most important system and service differences that you’ll want to consider before you settle on the best medical alert system. Arguably, the most important difference between various medical alert systems is the system itself. 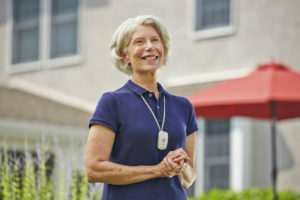 Understanding your unique needs will help you decide if you should choose a traditional in-home system or a GPS system. 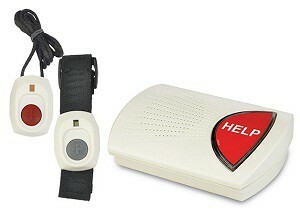 Traditional in-home systems are where medical alert devices started. These systems plug into the wall and utilize a landline in order to communicate with emergency services. The base unit is paired with an emergency button so you can get service from any room in your home. Landline telephones aren’t as popular as they once were, so many medical alert systems have created a traditional system that doesn’t require a traditional phone line. They function the same way landline systems do, but they use a cellular connection instead. If you’re looking for protection outside the home, consider a GPS system. They use a portable base unit so that you can access 24/7 support services both inside and outside the home. Some of these systems use emergency buttons, and some buttons are automatically included on the portable base unit. Nearly every system, whether you choose a traditional landline unit, cellular unit, or GPS unit, includes a portable emergency button. These buttons are your lifeline to help should you experience an emergency. However, there are some rooms in the home where you’re more likely to experience an accident, which is why it’s so important to understand if your pendant is waterproof, water resistant, or not at all. Many accidents happen in the bathroom, especially when it comes to taking showers and baths. Many pendants are waterproof for this reason, but not all pendants are. Instead, some may only be water resistant, which means you can take it into the bathroom, but you definitely shouldn’t take it with you in the bathtub. GPS devices, especially all-in-one units, can also be waterproof or water-resistant, but not all of them are. Take a close look at the equipment included in the plans you’re interested in to determine if you will be protected in the shower, in the tub, or at the pool. Is fall detection included in the plan? Making sure you’re protected in the bathroom is important, but none of that matters if you fall and are unable to push the emergency button on your pendant or GPS system. If you want the ultimate protection, you should look for a plan with fall detection. Most medical alert system providers offer fall detection, but it must be added to your plan for an additional fee. However, some systems automatically include fall detection, and other systems don’t offer fall protection with some of their options at all, so this is an important feature to get straight before you choose a medical alert system. All medical alert systems offer an area of protection, but the range offered by the various systems can vary widely. The largest range of protection is associated with GPS systems as they can provide protection anywhere across the country. Both traditional in-home and in-home cellular systems have an unbelievable range of coverage areas, so understanding the range of the system you’re interested in is extremely important. Some systems may offer less than 500 square feet, which might barely cover your home, while some systems can cover 1,000 square feet, protecting you in your home and outside in the yard. How am I supposed to wear the emergency pendant? Can I get extra pendants for myself or a spouse? Can I answer the phone with my pendant? Does the plan include unlimited use of the emergency button? Are any additional services available? A GreatCall Lively agent said it best: “Not all mobile personal emergency response systems have the same features. You should determine which features are important to you.” You can read our medical alert reviews, narrow down your options and compare the differences between each medical alert system plan. That way, you can find the one that will provide you with the peace of mind.